Fundraising: Still more kind donations have come in, with nearly $500 in already. Latest all-star supporters: Susan G., “Anonymous”, Janet R., and Sophorn C.–thanks so much! Facebook: The Celebrating Perseverance page now has 47 likes. Let’s try to get to 50 by the end of the day. An easy and very important contribution that would mean a lot to us is to just Share the page with your friends. CP news: Here is a new post that describes cerebral palsy and some of the challenges that kids with CP face. They are true endurance athletes that face life with endless smiles and usually a joyful view of their different realities. Jason: Our Jason will be celebrating his 17th birthday on March 4th! Yesterday he started the celebration with attending a Chinese Dance concert. He was easy to recognize as he was the only one shouting “Bravo” after every dance, and as usual saying “Hi” and “Peace Out!” to everyone who passed by. Also, he started shaving today, shedding his peach fuzz moustache. We had recently been calling him Pedro after the character in Napoleon Dynamite. 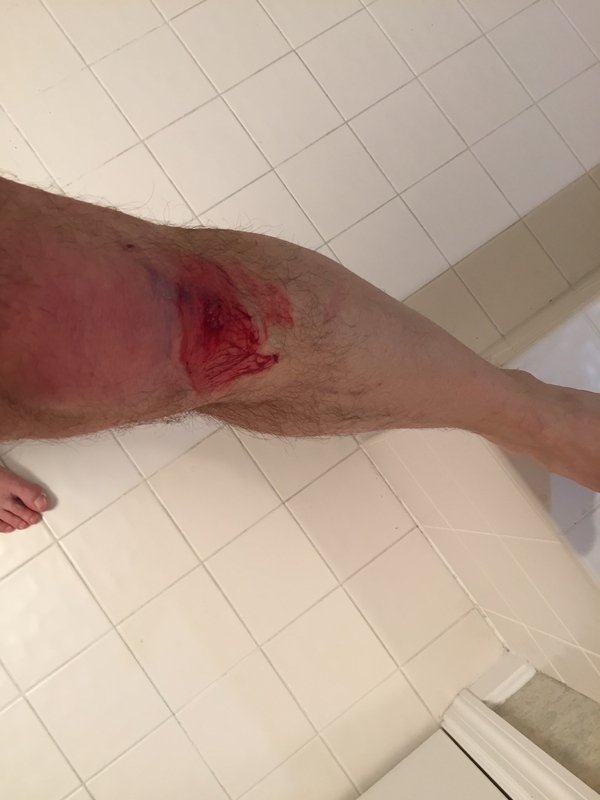 It was actually much worse looking than the actual scrape, luckily no pain and no problems except a bruised ego. Gotta be more careful! Previous Previous post: Off to a great start!